BMW R1200R DYNAMIC WESA LOWERING! Home/Uncategorized/BMW R1200R DYNAMIC WESA LOWERING! We lowered our customers R1200R LC by 30mm, to make the bike easier to ride two-up. The bike has the new Dynamic ESA from BMW, which is not a problem as the WILBERS DYNAMIC WESA upgrade is fully compatible with the OEM suspension and works in harmony with it. This marriage means that you have exactly the same functionality of the same buttons as before, just with way better suspension. Even if you do not want to lower your bike, the original BMW suspension on the LC R & RS models has been reported to be very harsh and unforgiving, particularly in the front. The WILBERS upgrade will give you better feedback with a more responsive suspension set-up! Please feel free to ask us for a quote for these amazing upgrades, you will love your Beemer even more! 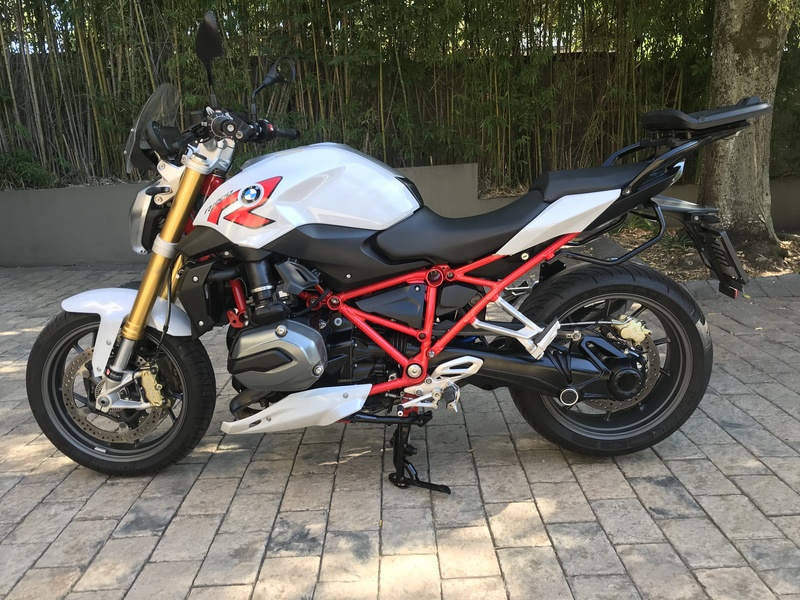 By Denver|2019-03-18T08:28:08+02:00March 18th, 2019|Uncategorized|Comments Off on BMW R1200R DYNAMIC WESA LOWERING! SUSPENSION REPAIRS – Fly right or fly by night?